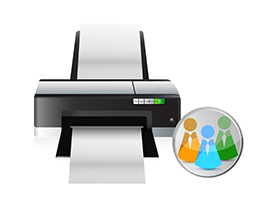 It may sound a little daunting if you’ve not done it before but setting up a network printer is extremely simple. Let’s take a look at exactly how to setup a network printer! 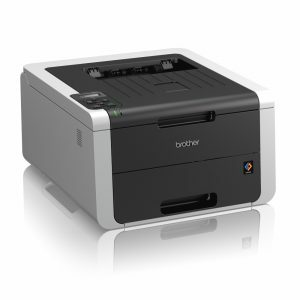 If the machine is brand new out of the box, then getting the printer to connect to the network should be straightforward as the default settings are usually set to auto IP. If the machine has previously been configured for local connection or if for some reason the network settings have been disabled, then you may first need to change them back to be automatic by accessing the network settings in the control panel. • Ethernet cable from the printer directly to the router/hub. Usually used in a small or home office. • Ethernet cable from the printer to a wall port. Usually in a business premises (ask your IT support to make sure the port is live if you cannot connect). • Via Wi-Fi to a router if this connection method is supported. Once connected and powered on, check for the connection indicator lights near the network connection into the back of the printer, if you can see the lights, the machine is communicating with the hub/router. At this stage, you can generally just run the installation process using the disc or downloadable drivers from your PC. These can usually be found on the manufacturers website. Part of the installation process performs a search for the device on the network, which means that it should be detected automatically, and the correct drivers installed. It is also possible to add the printer using the add a printer wizard on Windows using its assigned IP address. You can check the assigned IP address of the machine by printing a network configuration report from the control panel. If you need to set a static IP address on the machine (this prevents the router from automatically assigning a new one when you boot it up) you can change the auto IP setting on the machine to static. If you are on a large network, you may wish to check with your IT team as they may well have a preferred method of assigning IP addresses and can provide you with the correct one. Here at Printerbase we have a large selection of network enabled printers.